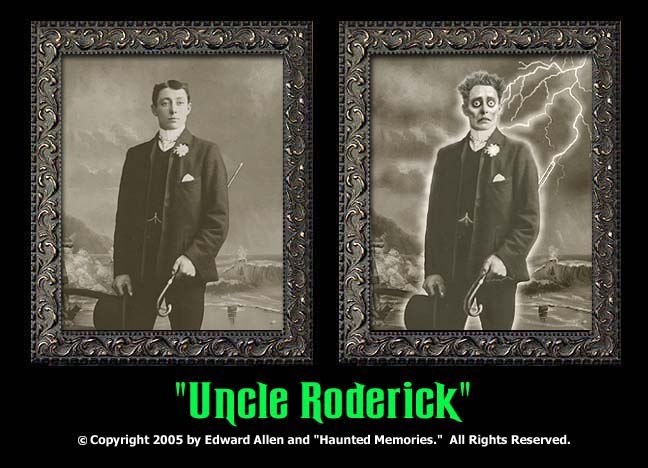 Home :: Party Supplies :: Unce Roderick - "Haunted Memories" Portrait 5"x7"
Unce Roderick - "Haunted Memories" Portrait 5"x7"
"Uncle Roderick" was rumored to be the brightest member of the family. Simple to use, yet extremely effective, these morphing images are designed to transform when you change your position. When your unsuspecting guests walk past them they will see these seemingly normal "relatives" change into hideously frightening creatures or macabre apparitions! Created by Halloween Artist Eddie Allen. Frame is not included in the purchase price. These high-quality pieces are a truly unique form of art, yet still affordable for the average "home haunter." Use them to spice up a Halloween Party, a Haunted House maze, or your own year-round ghostly gallery! No batteries, electricity, or special lighting required! Just put the portrait in a frame and the ghostly entities will do all the work! 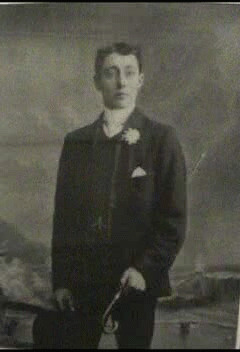 Portraits are sold unframed only.